Our 9th international BioMedical Transporters Conference “Membrane transporters – from basic science to drug discovery” will be held from August 9 - 13, 2015, at the Palazzo dei Congressi in Lugano, located on beautiful Lake Lugano in Switzerland’s romantic southern Ticino region. 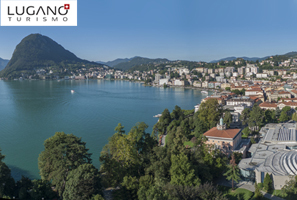 With a mild climate and Mediterranean flair, a traffic-free historical town center, and numerous mountainous excursions offering splendid views, Lugano is both a popular tourist destination and an ideal congress venue. BioMedical Transporters 2015 will be appealing to a broad, international, and interdisciplinary audience in the field of membrane transporter research. The diversity of participants and speakers will serve to enhance networking between scientists from different countries and disciplines. The conference will be beneficial to scientists from both academia and industry and will provide a great opportunity to them to discuss university-industry collaborations. While several sessions will focus on the pathophysio-logical role of membrane transporters from different points of view, two sessions entitled „Academia meets industry“ are scheduled to foster collaborations between academia and industry. Therein, visions, ideas and needs from both sides will be discussed and common opportunities identified. Another focus of the conference will be on the promotion of young researchers. As successfully implemented two years ago in St. Moritz, a special “International Young Investigators Session” will offer a platform for young scientists being part of the SFB35 (Austria), SFB807 (Germany) and NCCR TransCure (Switzerland) to enhance scientific networking and to interact with current opinion leaders in their field. To specifically promote young female scientists, a podium discussion “Excellence in women's science” is scheduled allowing young female scientists to meet world-leading female scientists as role models and to discuss career opportunities. The expected number of participants for BioMedical Transporters 2015 is 175-200. The combination of the Mediterranean setting, moderate size, as well as the strong list of speakers and attendees is certain to make this a worthwhile conference for both newcomers and experts in the field of membrane transporters.